Do you want to write children's books? And not just any books, but books that children will remember for years to come? Then you’ve come to the right place. 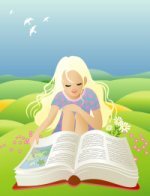 This website is meant to inspire, encourage, and help educate you as you work toward your goal of becoming a published author of children's books. As you’ll soon learn, writing and publishing a book is serious business. Even though the writing itself may be fun (although sometimes challenging), the editing and revision process can become very tedious. Yet it’s necessary, for only the best written, carefully edited, and well-designed books succeed in today’s marketplace. If you want to write children's books, but haven't yet submitted your first manuscript to a publisher, don't make the mistake some aspiring writers make: submitting illustrations along with their story. Rather than explain the reason for this myself, I'm going to let Jon Bard, co-owner of The Children's Book Insider, tell you in his own words. First, look up the contact information for the author you wish to talk to. Most likely, the author will prefer that fans contact him or her through e-mail or letters. Write down the questions you most want answered. For instance, how did they get started? How do they get their ideas? What is the hardest part about their job? Why did they decide to write children's books in the first place? Reading and sharing books with children on a regular basis. A willingness to speak to children in classrooms and at special events, sharing their experiences with writing. Constantly on the lookout for new ideas and inspirations – in the news, their neighborhoods, other books, or their own life experiences. In order for children to someday be able to read the book you’re writing, you will eventually have to be published. So it helps to learn what publishers of children's books are looking for. For instance, does the publisher to which you want to submit your book even ACCEPT the type of book you’ve written? HINT: Browse your local bookstores and libraries to determine the types of books that are produced by different publishers. In your quest to get published, don’t forget why you wanted to start writing in the first place. What is it that you’re passionate about? Those who publish children's books will see through thinly disguised efforts at clever writing if the subject is not written well. When you write children's books, choose topics you love, and the words will flow. 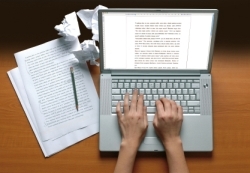 Yes, you’ll still have to do some editing down the road, but get it down on paper first. Research can help here too. Passion for a subject and strong writing skills aren’t enough to create a best-seller. You’ll also need to research your facts, especially if you’re writing a book based on historical events. Children’s magazines can be a great way to get started in this field. Book publishers and agents are more likely to take you seriously if you’ve already been published in several magazines. For more information, look under “Juvenile” under Consumer Magazine Markets in the current issue of Writer’s Market or read through the Children’s Writer’s and Illustrator’s Market. You'll also find a list of resources – books, DVDs, newsletters, etc. – on our Resources page. Enjoy the story . . .